Along with the emerging market for the mobile app development, the experts are looking to forward with the other reliable technologies. Mostly they focus on the development of apps for gadgets such as the wearable devices. These devices have been divulged some years ago and at the same time, it has gained more popularity. The popular products such as the Fitbit, Apple Watch, Pebble and Google Glass have completely changed the market demands. So the developers prefer for the wearable development. In the year 2016, about thirty million units of the IoT devices bought many changes to the reliable market. In the future, the number will increase to eighty-two million by the year 2020 and hence it is proved that the growth is about thirty-one percent. 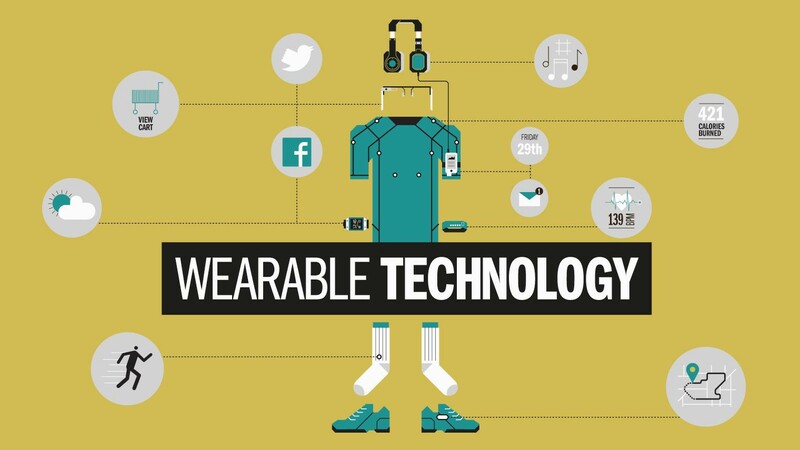 Along with the consumer acceptance, the wearable is expected to convert into the mainstream in the future. About eighty-seven percent of the consumers are not aware of the IoT. For example, the fitness apps have reached its peak in a unique manner. On the other side of the coin, watches and the dresses are yet to find a market. From these points, you have understood that the industry needs to invest in the development and also to educate the users. This is the most important one to collect the ideas including smart things. What we have to do to face the challenges while developing the app? Generally, the wearable devices have smaller screens when compared to that of the phones and tablets. This one automatically means that the user interface will also differ and it is a great challenge for the developers. According to the protocols of the wearable app development organization, the app developers should focus on the user interaction and voice commands. It is better to avoid the flashy icons since the devices do not have sufficient space for them. The two major qualities of a wearable device are mobility and it is easy to use. Hence, these two features should be always kept in the mind and the experts concentrate on developing the wearable apps instead of releasing the replica for an existing application. Most of the people resist themselves in investing in the wearable devices because of the major reasons such as data security including the privacy concerns. Data sharing is one of the most important features of wearable devices and competent security measures. These are the most needed one for protecting the sensitive data. Generally, making a mobile app for the wearable devices is a great challenge faced during the wearable development. In case if you develop an app for a single platform, it will totally restrict the targeted audience. On the other side of the flip, for developing the custom wearable app the coding will be totally a different one. In the present era, the wearable app development is the hottest topic. The developers are expecting great changes in each and every field. Hence, the app should be an updated one with the updated technology and trends. It is a well-defined challenge for the app developers in order to remain a constant one and also to ensure great success for lifelong. Most of the wearable devices have shorter battery life. In case if the app consumes high battery then the device might drain in the early stage itself. This can automatically lower down the app usage and also enhances the risk of the app un-installation. Yes, every one of us hates to charge the devices again and again. As there is a great competition in the existing world, it is essential for the app development for the wearable devices to be done quickly and effectively. If the app is launched earlier, higher will be the result from the corresponding market. Hence, it will be better to compare the speed factors among the different devices. The wearable technology has a great potentiality to track all the details including the private health information. This one gives a path to the privacy issues because the wearable technology can track the data, where the employees are not included. Additionally, the employers can make use of the data where the performance is measured. The humans making an attempt to measure against the chart does not capture any innovation. Long terms solutions are available since the security issues are a great challenging one to scale out any wearable technology. WHAT IS DARK WEB & HOW TO ACCESS IT?